Federer, Nadal and Djokovic continued their dominance in competitive 2018, but how long can things remain the same? The more things change, the more they remain the same, or so goes the popular saying. I had always thought that didn't really make much sense, because the very definition of change implies things not remaining the same. But has the ATP tour unwittingly provided the perfect illustration of how the saying can actually be true at times? At the end of 2008, the top three ranked players in the world were Roger Federer, Rafael Nadal and Novak Djokovic (not in that order). And as we all know, the top three ranked players in the world at the moment, 10 years on from that watershed 2008 year, are…Roger Federer, Rafael Nadal and Novak Djokovic. If you were someone who only checked up on tennis once every 10 years (before you think such a person can't exist, check out the story about the fan who woke up after 11 years in a coma to see that the same player was bossing the tennis world), you'd think the sport doesn't change or grow in any way. Where are the young players? What are the challengers doing? Is the upper echelon some kind of Big Boys' Club to which outside access is not permitted unless you conform to the aristocratic standards of the royalty? (Side note: Andy Murray did conform for a while). If 2017 was bad from a competitiveness standpoint, 2018 was, in some ways, worse. When Djokovic briefly lost interest in the sport a couple of years ago, it was left to those old warhorses Federer and Nadal to pick up the mantle and start ruling the Grand Slams again. But at least that could have been attributed to a transition phase, where the young guns were still feeling their way around the tour, gathering information on what it takes to truly belong in the big leagues. But no one could have anticipated just how easily Djokovic would waltz to the top the moment he regained his motivation. As the Serb went back to business, winning Slams and Masters for fun and compiling a 35-3 record in the second half of the year, the two longest matches he was dragged into were against…Federer and Nadal again. 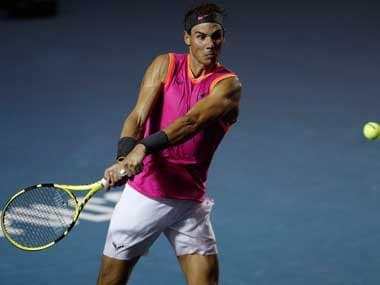 What's even more telling is that despite being stretched to his limit in those two matches, he still came up trumps — 10-8 in the fifth against Nadal at Wimbledon and 7-4 in the third set tiebreaker against Federer at the Paris Masters. In that sense, Djokovic's comeback was even more impressive than the twin comebacks Federer and Nadal forged in 2017. Not only was his game at such a dizzyingly high level that he could effortlessly fend off the younger generation, the way the other two did, but he also won his battles against the old guard themselves. It was almost like he was telling the rest of the tour: "You had your fun while I was away, but now the party's over since I'm back." There's one aspect about the strange 2018, however, that deserves special mention. The three losses that Djokovic suffered as he got back to his Invincible avatar were against players aged 22 or younger. 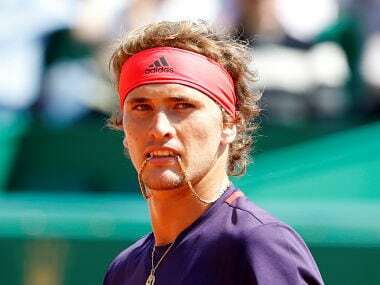 Stefanos Tsitipas outplayed him in Canada, Karen Khachanov outrallied him in Paris and Alexander Zverev outmuscled him in the final of the ATP Finals. There were extenuating circumstances to the first two, of course. In Canada, Djokovic was just coming off a cathartic Wimbledon run and looked short on motivation, almost tanking the first set against Tsitsipas. In Paris he was understandably fatigued in the final, having fought till his dying breath to hold off Federer in a three-hour thriller of a semi-final. But the very last match of the year, against Zverev in London, may just have been the single most significant result heading into 2019. There were no mitigating factors for that one; Djokovic was in terrific form leading up to the contest and was widely considered the overwhelming favourite to swat Zverev aside. And yet he still lost, as the German briefly borrowed his Invincibility Cloak and put on a serving display for the ages. 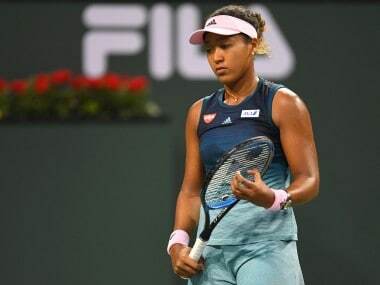 Yes, it wasn't a Slam final and it wasn't a best-of-five match – the 32-year-old still holds sway in that format, if the last two Majors are anything to go by. But knowing what we know now about Djokovic's 2017 struggles and his newfound tendency to tank when things aren't going his way, the path to another all-conquering run might just be lined with a few bumps. The key, as both Khachanov and Zverev showed, is to take care of your serve and somehow hang in the points during the return games. If you land enough first serves from a height of 6'4" or above and push enough of Djokovic's buttons in the rallies, then maybe, just maybe, you have a chance of defeating him. That's easier said than done, but at least there is something for the rest of the tour to hold on to. Back in 2015, or even 2011, Djokovic looked like he had literally no weaknesses and he certainly never tanked. But that's not quite the case going into 2019, even if for the most part he is still winning the matches that matter. And what of the other two members of the exclusive Big 3 club? Federer looked distinctly vulnerable the entire second half of 2018 and his loss to Borna Coric at Shanghai was particularly eye-opening. The Swiss doesn't seem to have the point-ending oomph on his forehand consistently enough anymore and if he is having even a slightly off serving day, he is susceptible to a defeat at the hands of a younger and quicker opponent. That leaves us with Nadal, who actually lost just four matches in the entire 2018 and just one after Wimbledon. Sure, he didn't play a lot of tournaments, but when he did take the court, he seemed just as difficult to beat as he has ever been. On clay, the conversation doesn't even go beyond the R of Roland Garros. That tournament seems to have the Spaniard's name imprinted on it for the foreseeable future and it's hard to imagine what, if anything, Dominic Thiem and the rest can do to change that. But there's a rider there too. Nadal's injuries have been getting more frequent with each passing year, and his 2018 was essentially as break-riddled as Federer's. He always seems to be fit for the claycourt season, so he will be a lock for Roland Garros even in 2019, but outside that, it's anybody's guess how often he will be able to give his best. 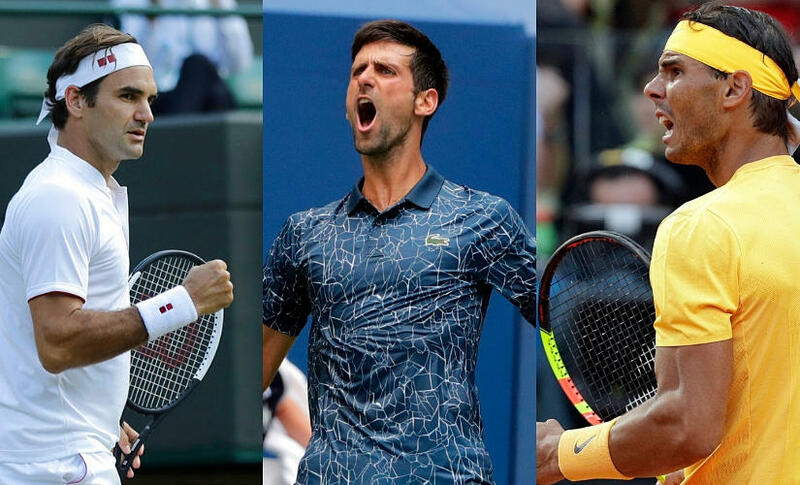 As we approach a new tennis season, we have a fair handle of the role that each of the Big 3 is likely to play. Djokovic is the nearly invincible king of the realm, Nadal is the unpredictable joker in the pack who can win any tournament if he builds a head of steam and Federer is the mysterious ageing wizard who remains a tough out for everyone, but whose magic doesn't quite always appear on demand. Now if we think back to those heady days of 2008, have things really remained the same? Back then, Federer and Nadal seemed to have only one true rival — each other — while it was Djokovic who was the joker in the pack. And let's face it, we didn't watch every match played by Federer and Nadal fearing that it would be the last time we were ever seeing them on the court. Time changes everything – even something as seemingly eternal as the dominance of the Big 3. So no, that proverb doesn't make sense after all. But do the Big 3 themselves know that or will they keep kicking and fighting till their breaths run out, extending their time in the sun as long as humanly possible? Of course, they will keep kicking and fighting. That is something that will never change, no matter what I or anyone else thinks about the truth of age-old proverbs. 1Federer, Nadal and Djokovic continued their dominance in competitive 2018, but how long can things remain the same?